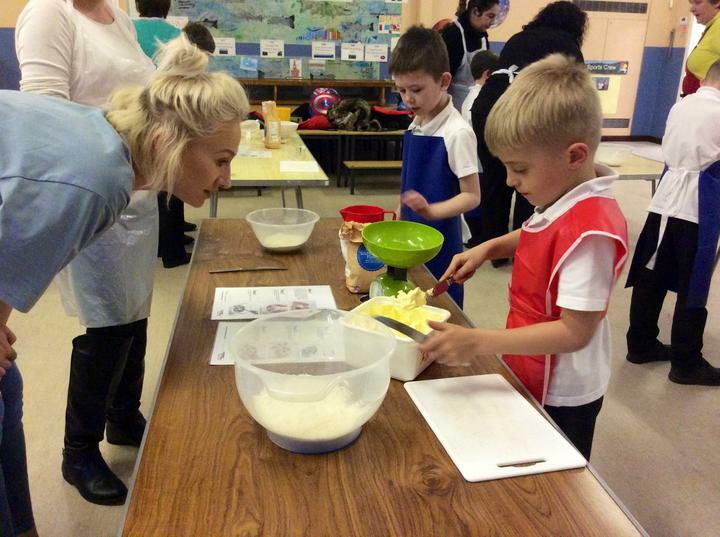 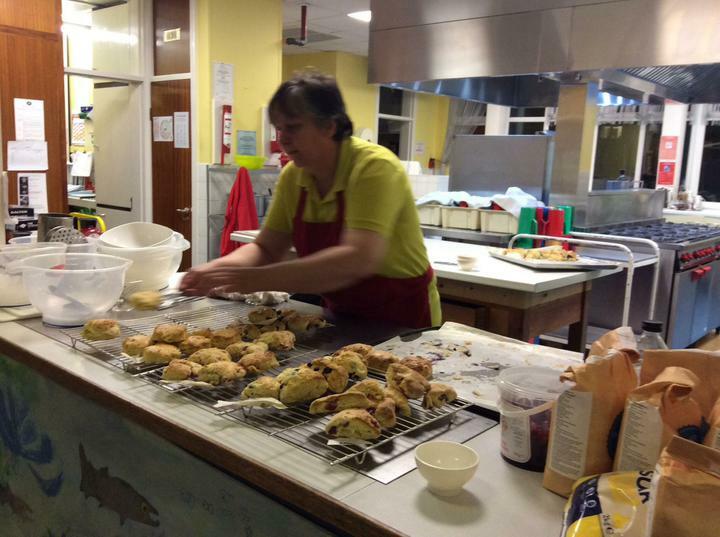 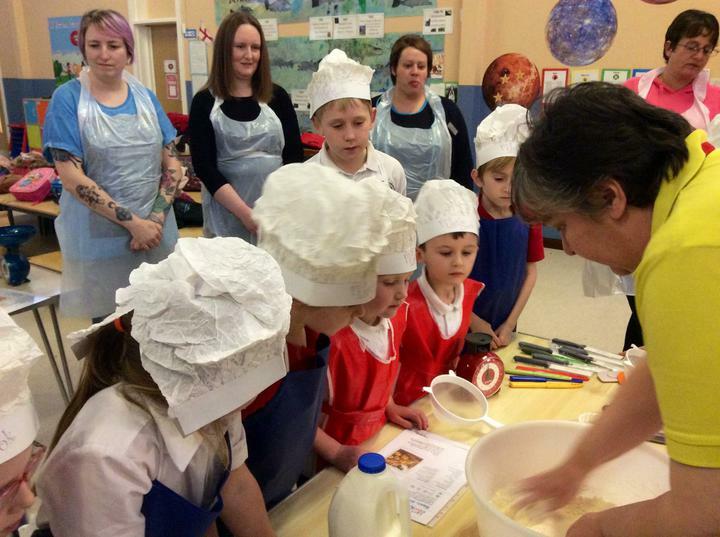 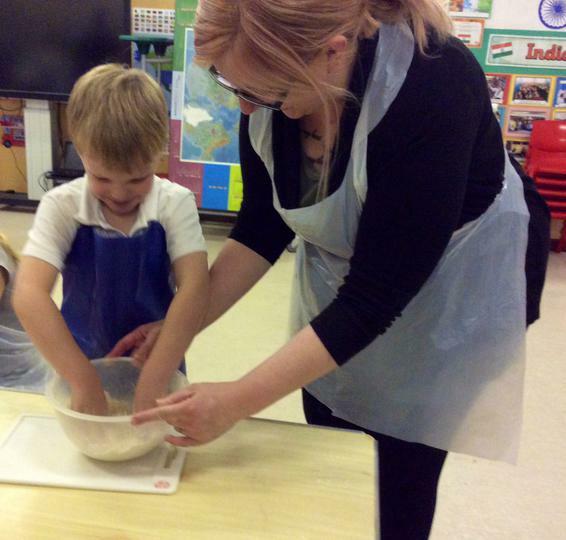 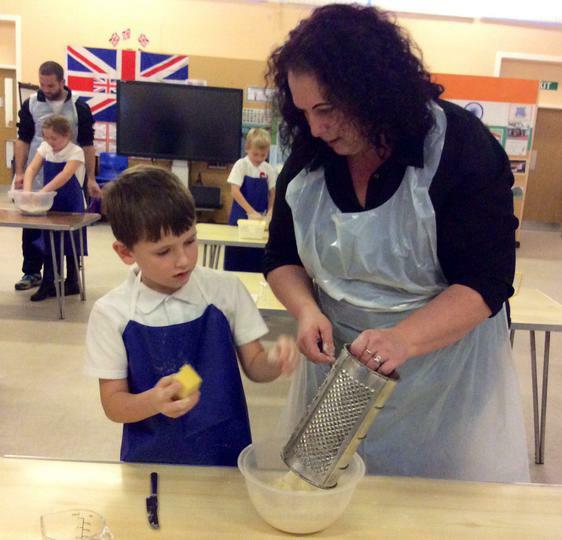 Our first group of 12 children and parents had a taste of cooking together and made some delicious fruit and cheese scones. 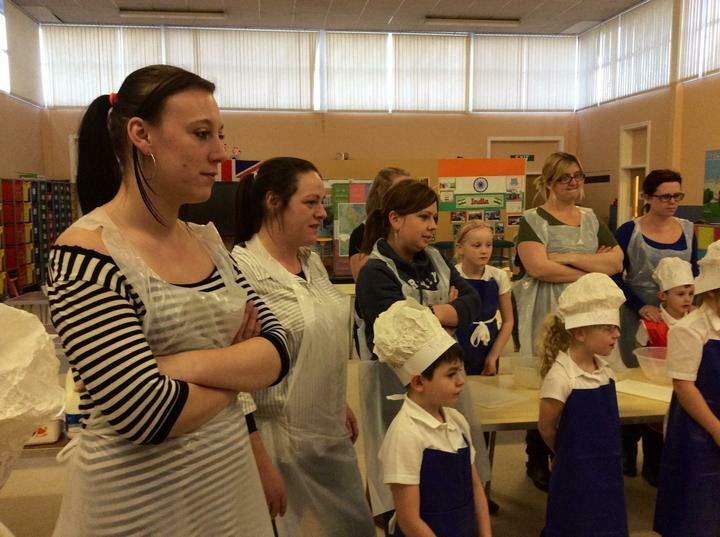 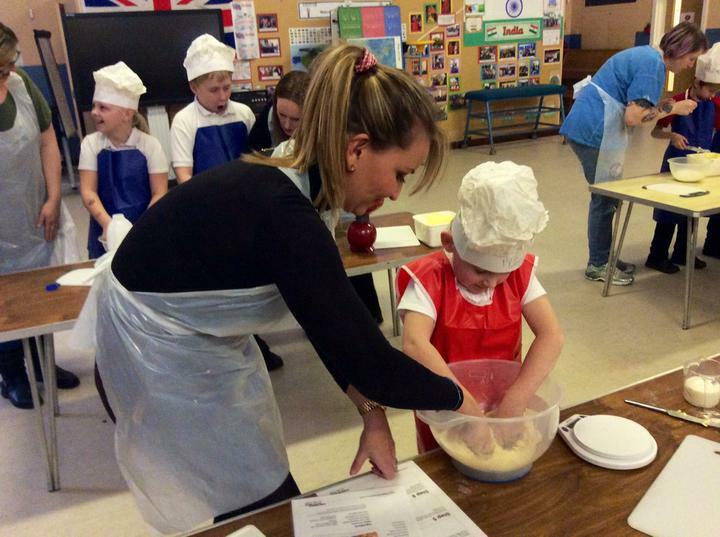 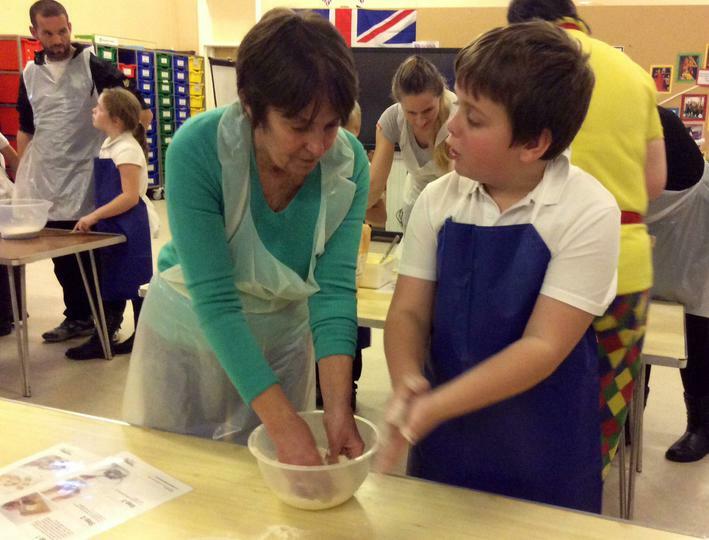 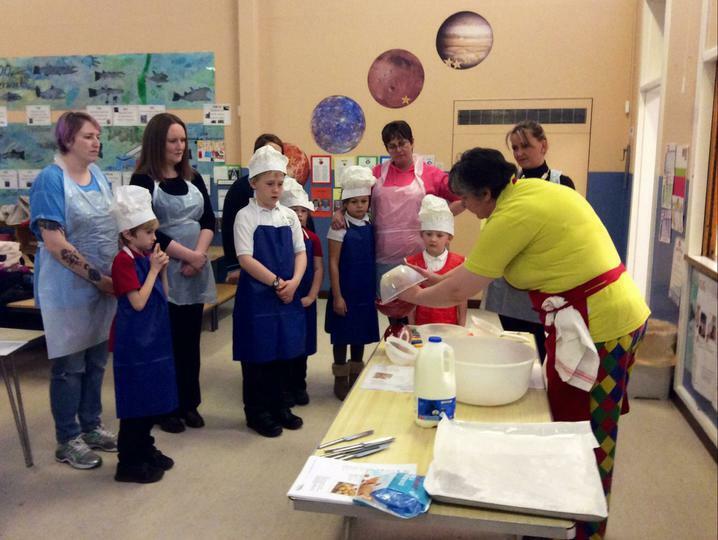 The session was led by Lucille Dickson, our award winning school cook and was a great success. 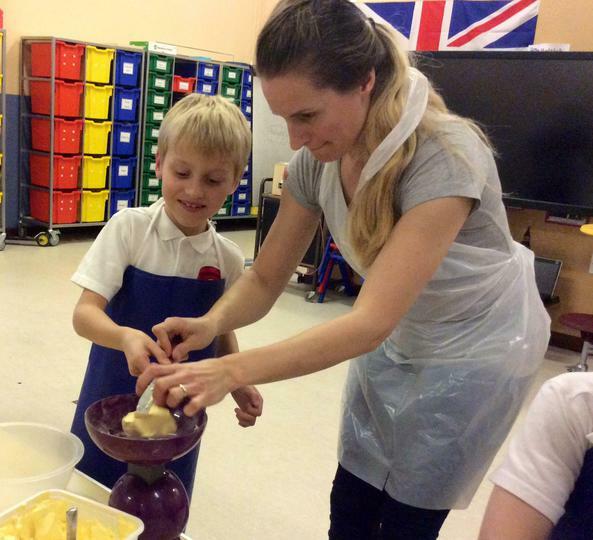 Next week our second group will have a turn. 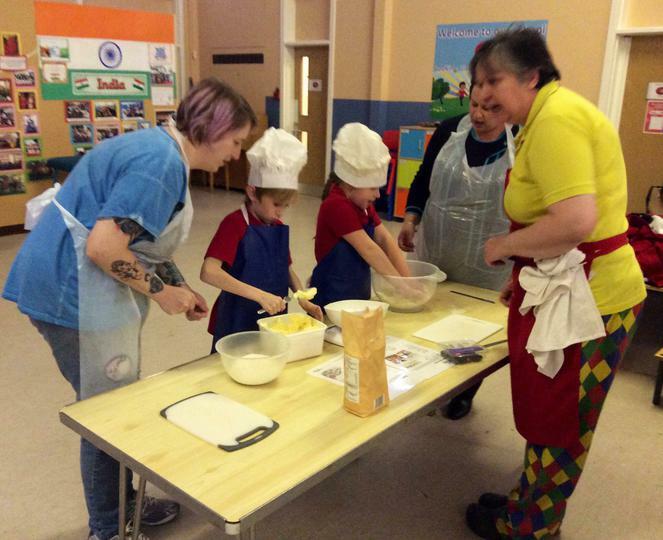 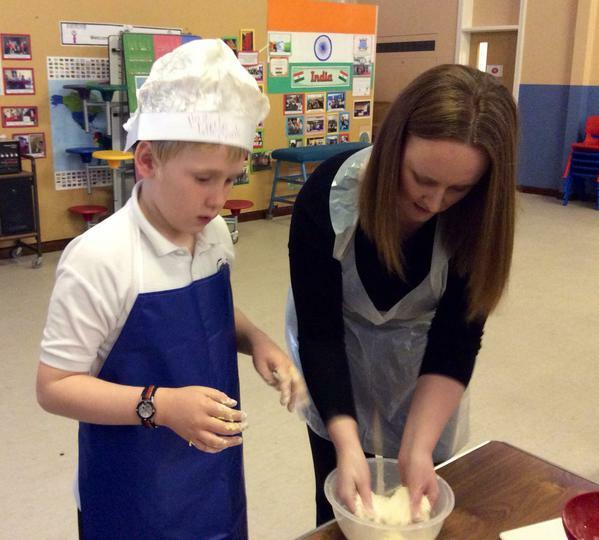 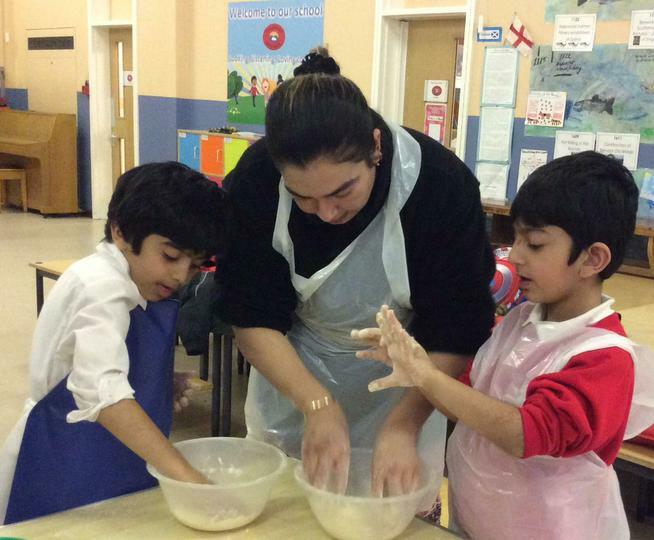 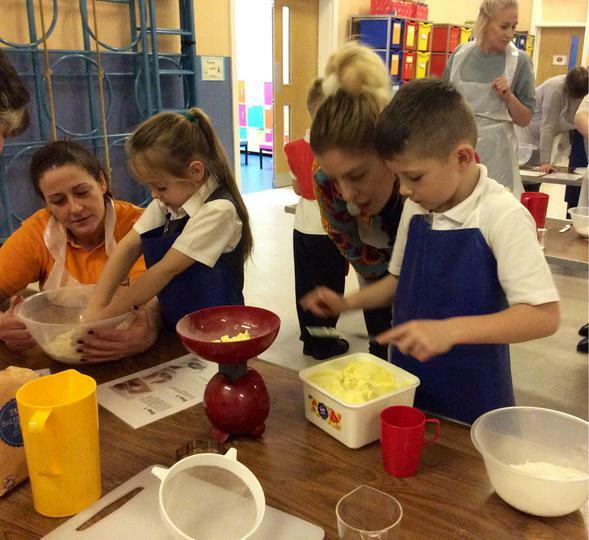 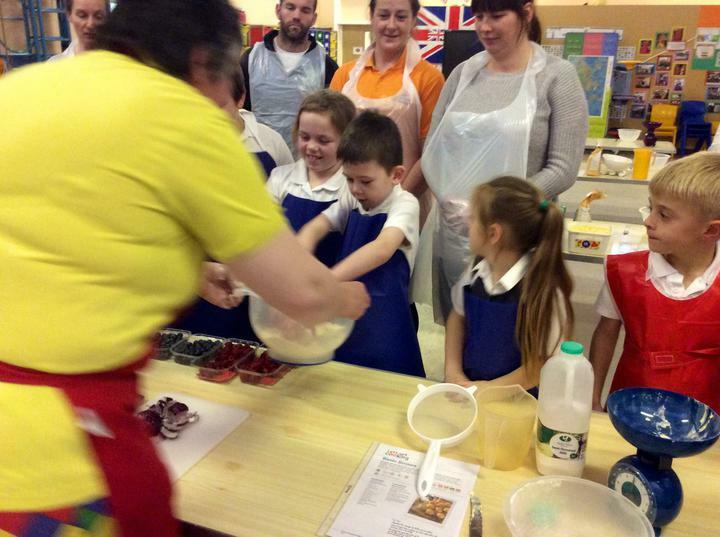 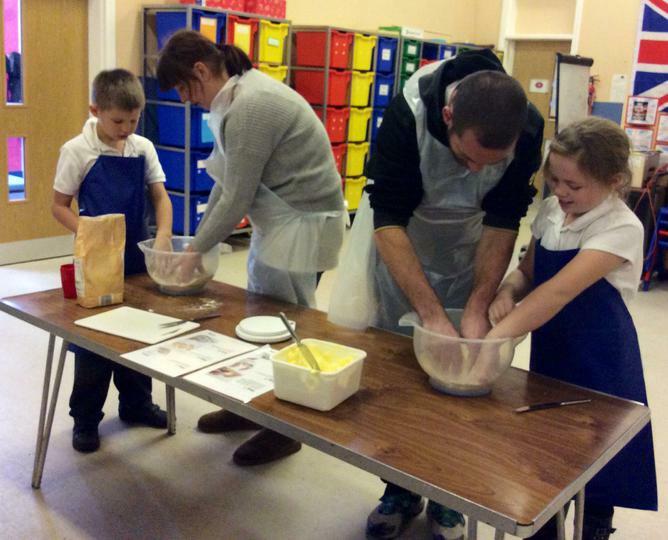 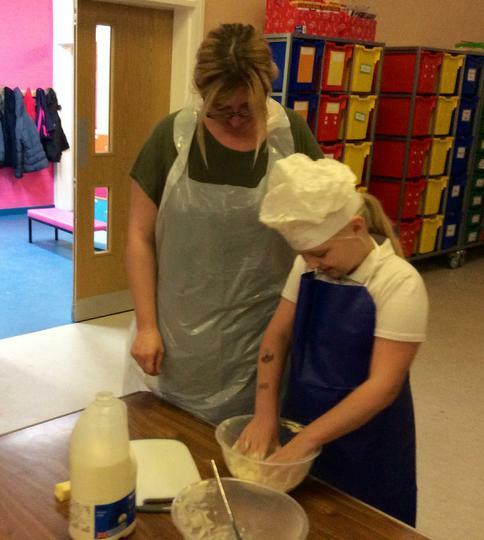 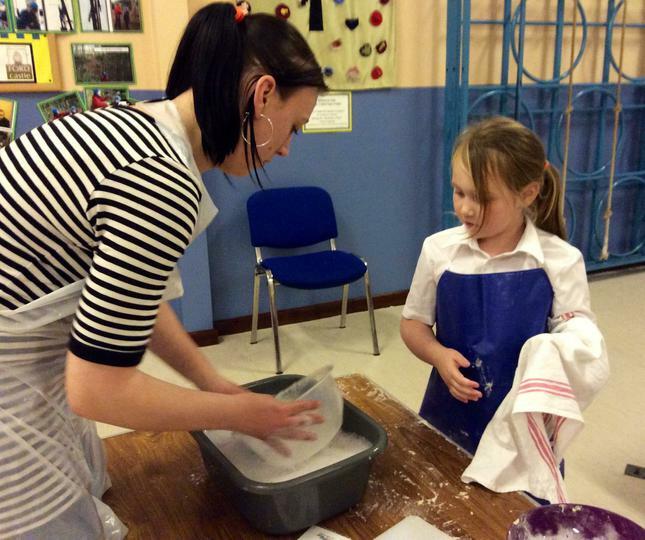 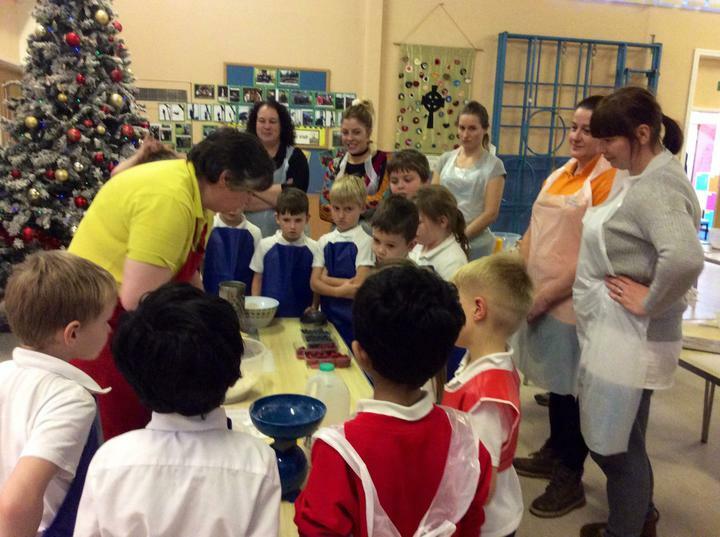 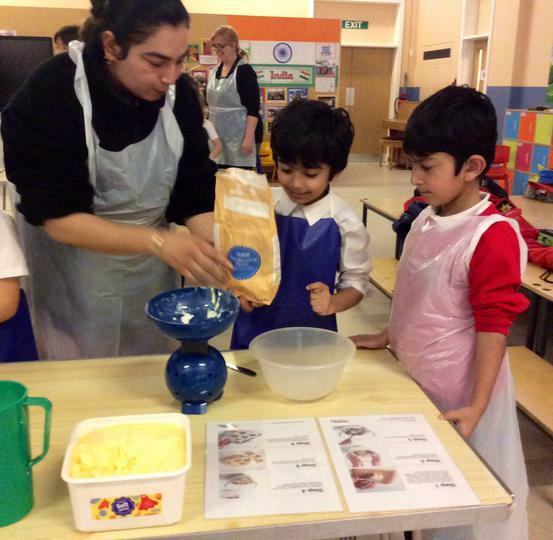 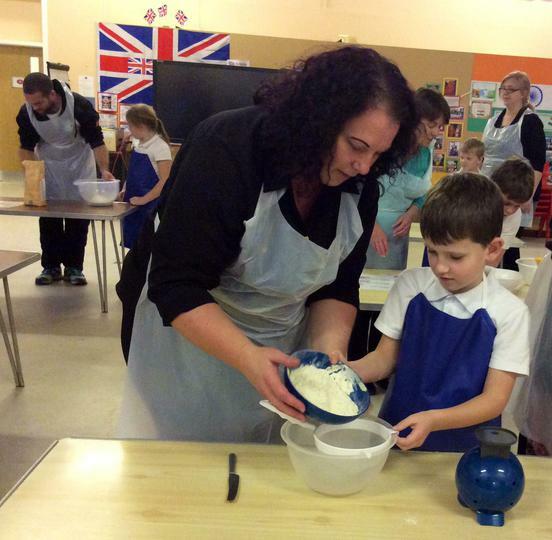 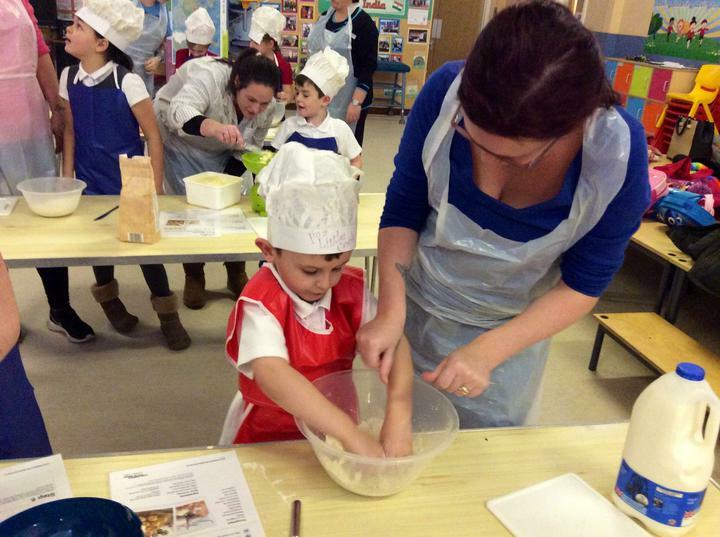 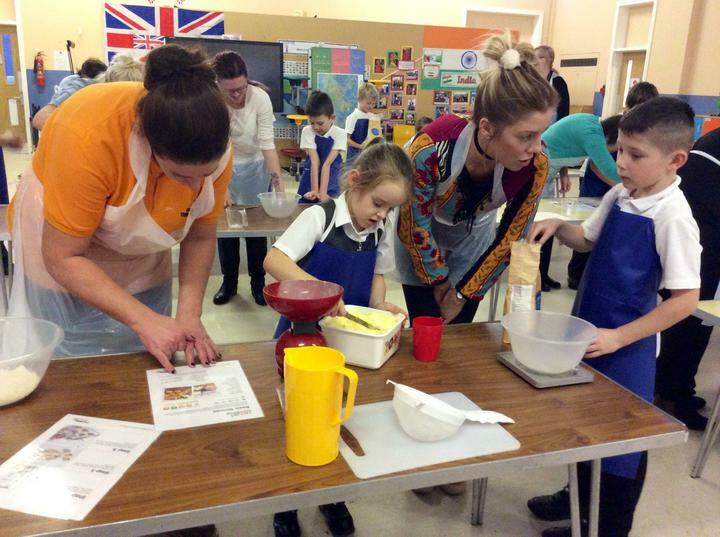 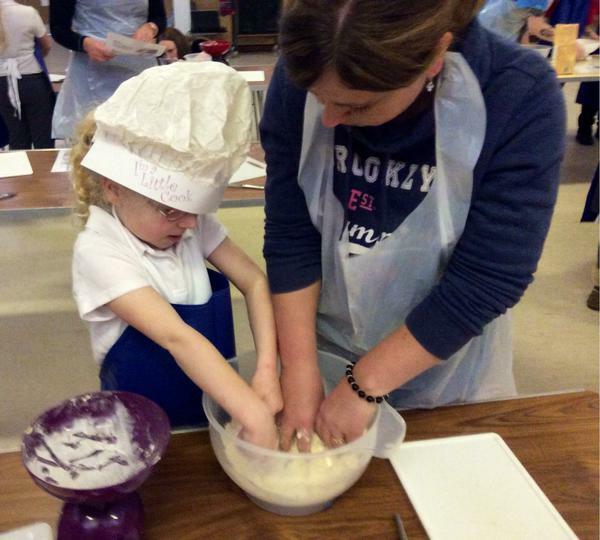 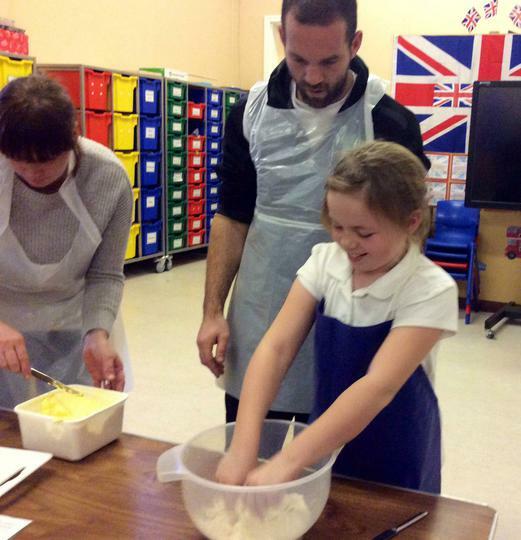 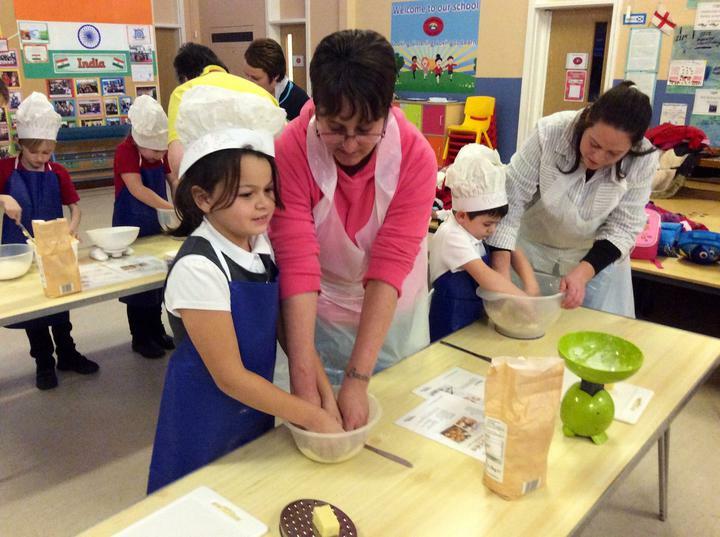 These sessions are a taste of what's to follow next term when we begin our weekly Big Cook, Little Cook Cooking Club.